Presentation of the Global Holcim Awards “Innovation” prize 2009: (l-r): Rolf Soiron, Chairman of the Board of Directors, Holcim Ltd; Enrique Norten, Principal and founder, TEN Arquitectos and member of the global jury; John Petersen and Liz Ogbu, “Innovation” prize winners of Public Architecture in San Francisco; Sarah Graham, Principal partner, agps architecture and member of the Holcim Awards jury North America; and Saskia Sassen, Robert S. Lynd Professor of Sociology, Columbia University, New York and member of the global jury. A San Francisco-based project offering a solution for day laborers and the surrounding communities received the Global Holcim Awards “Innovation” prize 2009. 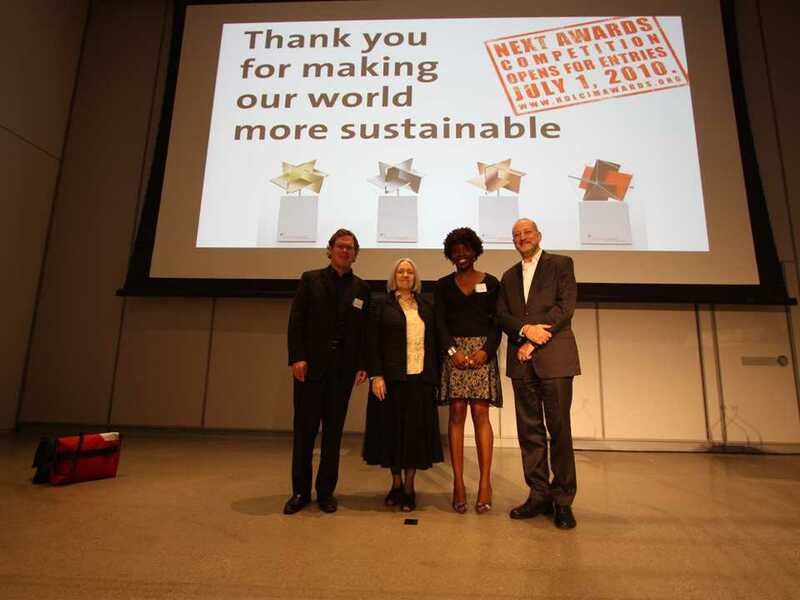 The project led by Liz Ogbu and John Peterson of non-profit organization Public Architecture was selected out of thousands of submissions worldwide in the competition for sustainable construction projects. 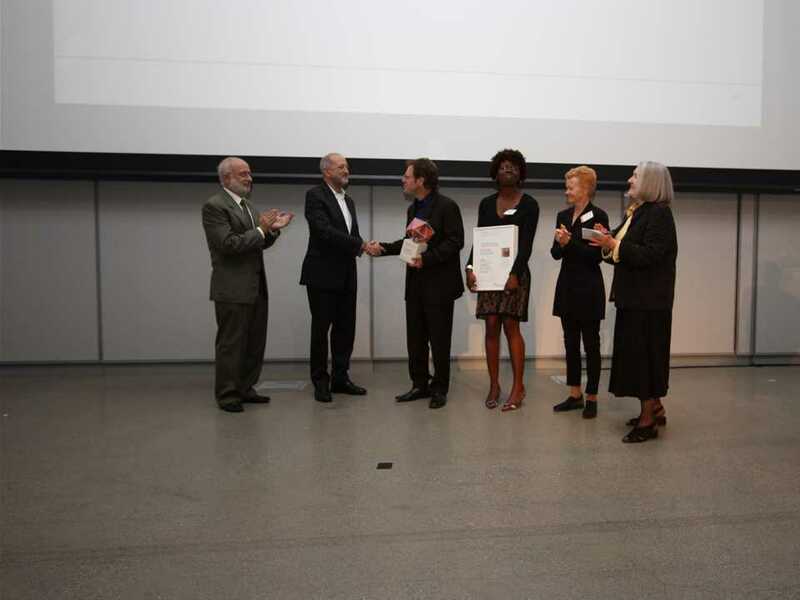 Internationally-renowned sociologist Saskia Sassen and celebrated architect Enrique Norten presented the USD 50,000 prize at the new California Academy of Sciences – itself a winning project from the 2005 Holcim Awards competition. 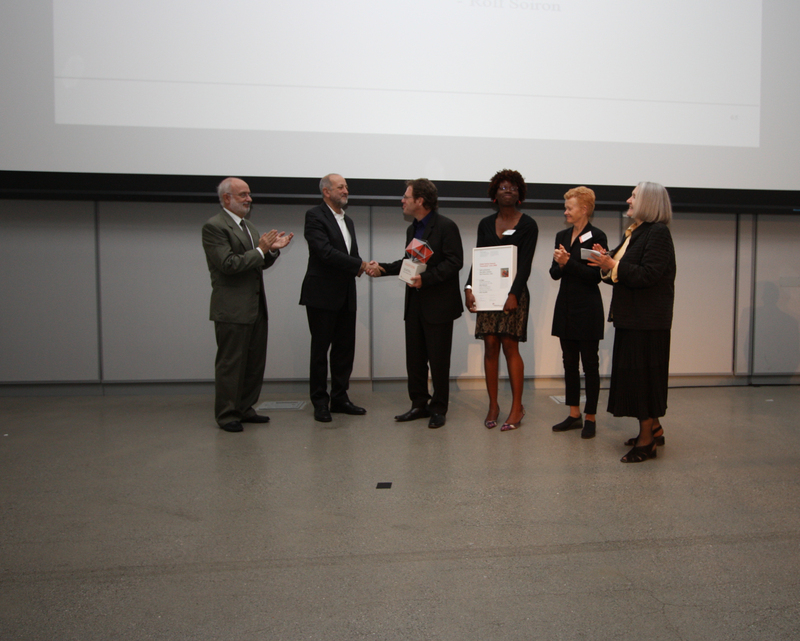 Internationally-renowned sociologist Saskia Sassen and celebrated architect Enrique Norten presented the USD 50,000 prize at the new California Academy of Sciences – itself a winning project from the 2005 Holcim Awards competition. 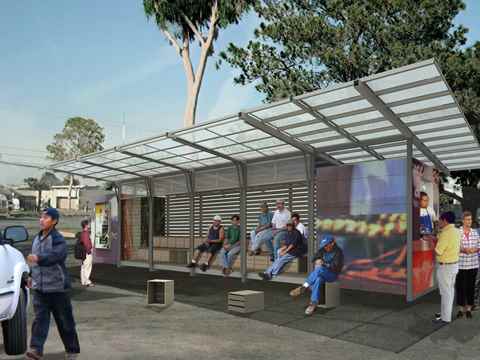 Self-contained day labor station is a flexible bus-shelter-like structure that offers shelter, benches, washrooms, a kitchen and an education/training space – creating a sensitive environment for people who find themselves on the edge of the community and at the same time addressing health and safety needs. Green and recycled materials are used to minimize the environmental footprint and economic cost of each facility. The project qualified for the global level of the competition by winning the regional Holcim Awards Silver 2008 North America. The day labor station impressed the jury principally for its far-reaching impact on a whole community: “The structure provides a solution to what the surrounding neighborhoods often experience as social disorder and what local police forces find difficult to handle. Thus, the benefits extend to a larger social context than that of the workers themselves”, the jury stated. The Global Holcim Awards “Innovation” is a prize for a project that demonstrates a strong element of creativity or inspiration. Internationally-renowned sociologist and economist, Saskia Sassen, noted for her analyses of globalization and international human migration was one of the six members of the global jury and provided a keynote address at the handover ceremony. The author of The Global City and Cities in a World Economy praised the day labor station project for its novel approach that combines a minimal physical urbanistic intervention with maximum social equity and neighborhood enhancement effects. “This is a low-cost solution that generates tangible benefits to those at the periphery including healthcare and social networks, while at the same time alleviating social disorder in the surrounding neighborhood,” she said. 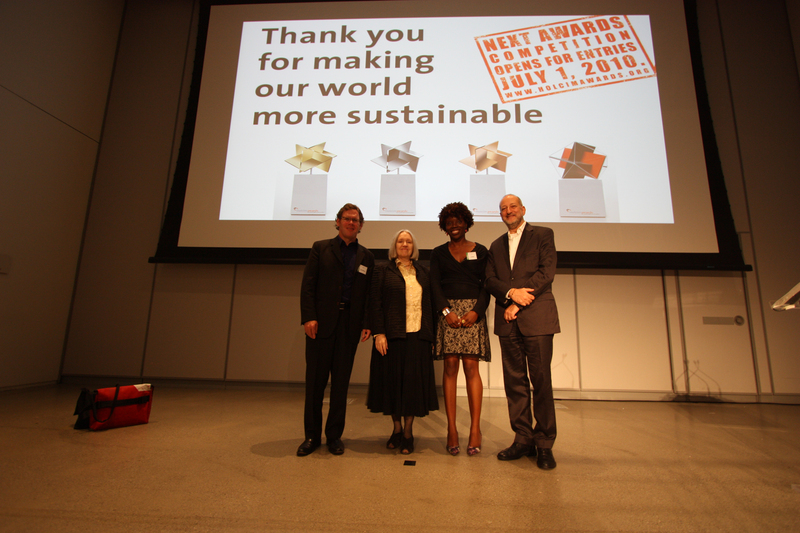 Almost 5,000 sustainable construction projects and visions from 121 countries entered the five regional Holcim Awards competitions in 2008. Winners of the Gold, Silver and Bronze Awards in each region automatically qualified for the Global Holcim Awards competition in 2009. The global jury was headed by Charles Correa (architect, India) and included Peter Head (structural engineer, UK), Enrique Norten (architect, Mexico/USA), Saskia Sassen (sociologist, USA), Hans-Rudolf Schalcher (civil engineer, Switzerland), and Rolf Soiron (economist, Switzerland). The Global Holcim Awards Silver with USD 200,000 in prize money was awarded to a new campus for the University of Architecture in Ho Chi Minh City, designed by architect Kazuhiro Kojima (Japan). The project avoids massive land reclamation on an island in the Mekong Delta and aims for harmony with all elements of the surrounding ecosystem: flooding rice fields, mangroves, winds and seasonal changes. A rural planning design for a suburban village in Beijing, China received the Global Holcim Awards Bronze and USD 100,000 for effectively combining heritage preservation, traditional knowledge, local materials, modern technology, and professional project management. The comprehensive urban planning strategy led by Yue Zhang (China) and Feng Ni (China) improves logistics, public utilities and services while meeting stringent ecological and energy-saving targets for new buildings. The Global Holcim Awards finalists illustrated a broad scope of approaches to sustainable construction from all regions of the world. Rolf Soiron (Switzerland), who represented the sponsor of the Awards as Chairman of the Board of Holcim Ltd in the global jury, commented that the enormous challenges of sustainable construction demanded many innovative contributions adapted to local needs. “The intrinsic values and merits of the projects show that all have unique features which, in their specific environments, do contribute and bring something new to the table,” he said. Along with the Holcim Awards, the Holcim Foundation leads a range of sustainability initiatives such as the Holcim Forum – a series of symposiums. The next Forum will be held in Mexico City in April 2010 on the theme of “Re-inventing Construction”. The third Holcim Awards competition cycle will open for entries July 1, 2010.